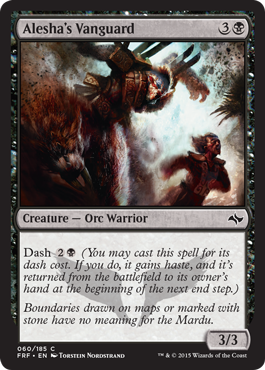 You've had, like, a full weekend to pore over the Fate Reforged Card Image Gallery. That should definitely be enough to completely familiarize yourself with every aspect of all 185 cards, right? 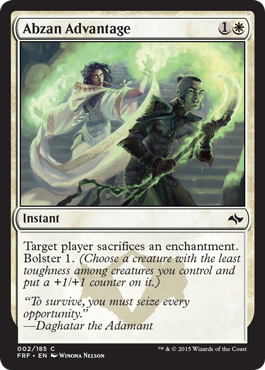 You definitely know your Aven Skirmisher from your Arashin Cleric; and you probably already have the best joke about the art on Refocus, right? Okay, so maybe we're all still getting used to Fate Reforged, but we've certainly had a while with the clans, and Khans of Tarkir painted a gorgeous picture of Abzan, Jeskai, Sultai, Mardu, and Temur. 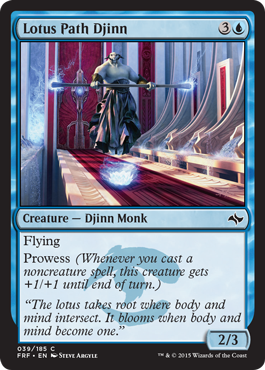 So much so that I'm willing to bet you can identify the clan associated with Fate Reforged cards simply by their flavor text. And everyone would clap and cheer and tell you how smart you are. Sound good? Great! Read the eight pieces of flavor text below and note which clan you think each belongs to, then scroll down for the answers. "Dragons seek war. I bring it to them." Got all 8? No peeking. Scroll down to see the eight cards and their clans. 1. Mardu. Okay, that was a warm up. 2. Something, something, body and mind? Check. Stuff becoming one? Check. Lotus? Check. Has to be the Jeskai. 3. If it's creepy, it's also gotta be the Sultai. 4. Mardu. 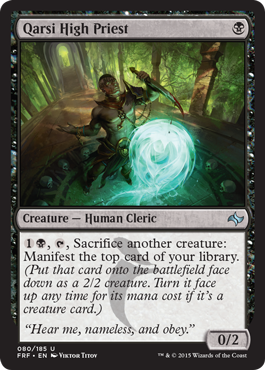 The Abzan are big on arrows as well, but this is a pretty aggressive quote for a pretty aggressive clan. 6. Bit of a trick question. 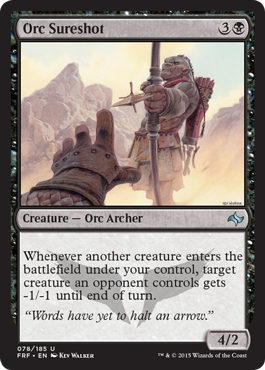 This is the flavor text for Atarka, World Render, who doesn't belong to any clan. 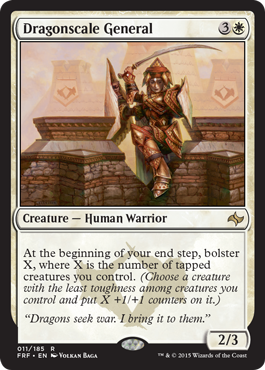 However, give yourself partial credit if you chose Temur. 8. Abzan. 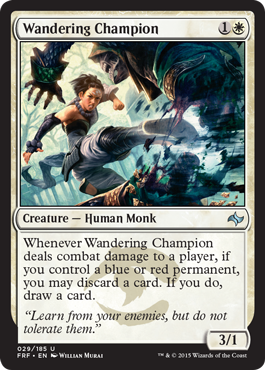 And if you figured that out, then you are a true Fate Reforged flavor text master.